Sand dollars move with the sea. They embody energies of transformation, freedom, and the strength to change with grace. Legend has it that five doves of peace can be found within a sand dollar's shell. Some say these are the five angels that sang to the wise men. 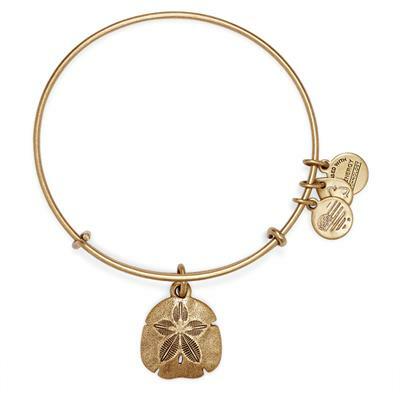 Trust the process and receive the blessings that flow toward you by wearing the beautiful Sand Dollar bangle by ALEX AND ANI.